WASHINGTON — Congress could, in the coming days, finalize a nuclear weapons budget that adds $458 million in 2019 over last year, after a conference committee released a compromise funding plan on Monday. The plan calls for $44.6 billion in Department of Energy appropriations, with $11.1 billion for weapons activities within the National Nuclear Security Administration, a semiautonomous office of the Department of Energy that has oversight for the U.S. nuclear warhead stockpile. The number includes full funding of life-extension programs for nuclear weapons at $1.92 billion, which supports NNSA’s efforts to sustain and upgrade U.S. nuclear warheads and their supporting infrastructure, in line with the administration’s Nuclear Posture Review. Still, there are questions whether NNSA’s five major modernization programs will be funded in the future — and the bill orders cost estimates related to several capabilities. Before retiring, Frank Klotz, the head of the National Nuclear Security Administration, told Defense News about the challenges awaiting his successor and the state of the U.S. nuclear arsenal. Lawmakers are expected to vote later this week on a funding package that also includes the full-year appropriations for Veterans Affairs, military construction, the legislative branch and a few other agencies. Congress has until the end of September to finalize all of its government-spending bills, or face a possible partial government shutdown. The nuclear weapons funding looks like a win for President Donald Trump, who had sought to expand America’s nuclear arsenal and requested a 17.5 percent increase for NNSA over the previous year’s request as the administration seeks to refresh and improve America’s nuclear arsenal. The bill, according to a joint explanatory statement, provides $65 million to the controversial low-yield, submarine-launched ballistic missile, as expected. That program involves modifying the W76-1 warhead for the Navy’s Trident II D5 ballistic missile into W76-2 warheads, as outlined in the administration’s Nuclear Posture Review. The compromise kept House language ordering NNSA to provide appropriators with a report detailing the plan, rationale, costs and implications of producing a low-yield variant of the W76. The report would include estimated long-term maintenance costs and the impacts of program delays. 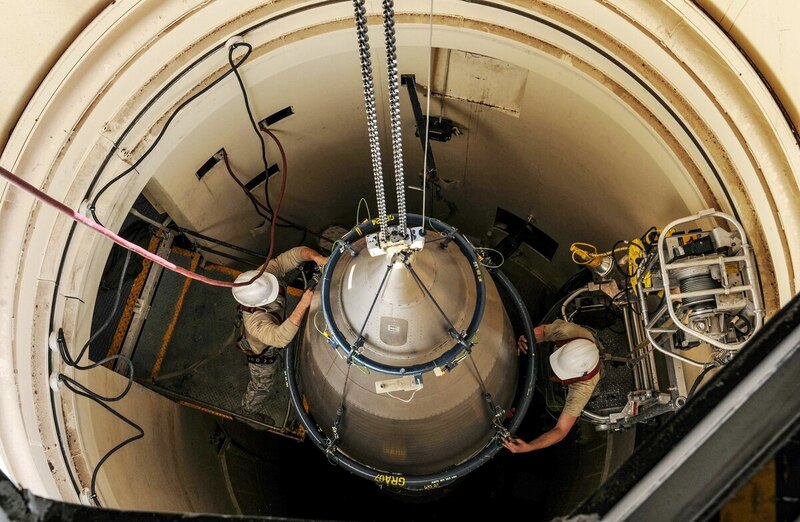 Lawmakers have yet to announce a compromise on the spending package that includes the Defense Department — which requested $22.6 million for 2019 to complement NNSA’s development work on the W76-2. The bill also orders reports on the cost of the IW-1 Life Extension Program, which is meant to create an interoperable warhead for various systems, versus the cost of refurbishing existing W78 warheads, among other studies of costs associated with the W78. A rough estimate is due 60 days after the bill is signed, and the full report is due 180 days after. The Nuclear Posture Review, released in February, called for the development of two new nuclear weapons capabilities, as well as heavy investment in infrastructure to support the nuclear arsenal. A Government Accountability Office report warned last year that five major modernization programs that will be underfunded in the coming years. Indeed, the political winds may shift for nuclear weapons funding, should Democrats take control of the House in midterm elections come November. The House Armed Services Committee’s ranking member, Rep. Adam Smith, D-Wash., said last week nuclear weapons are the “No. 1” difference between the parties when it comes to national security spending. The Congressional Budget Office estimated last year the 30-year cost of America’s nuclear forces at $1.2 trillion; more than $800 billion to operate and incrementally upgrade nuclear forces and about $400 billion to modernize them.